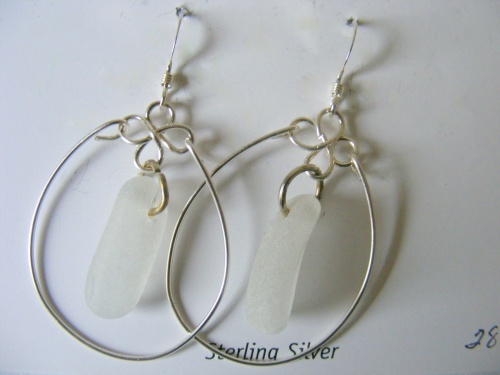 This pair of earring is made with sterling silver and authentic seaglass. Has a hoop with a four leaf clover and the seaglass is framed to pop. Can be made with any color seaglass.